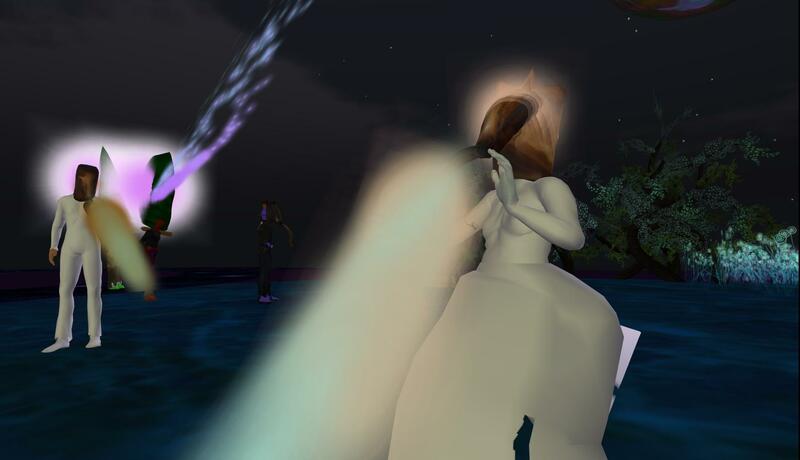 Odyssey Art and Performance Simulator has housed a remarkable array of artists who are pushing the edges of art and identity in the virtual world Second Life. The Avatar Orchestra Metaverse began at Odyssey in 2007, and is rehearsing there now in preparation for its July 2013 performance at the first annual Deep Listening Art and Science Conference in Troy, New York. Odyssey is funded by the artists who use it, and is voluntarily managed currently by artist Liz Solo. 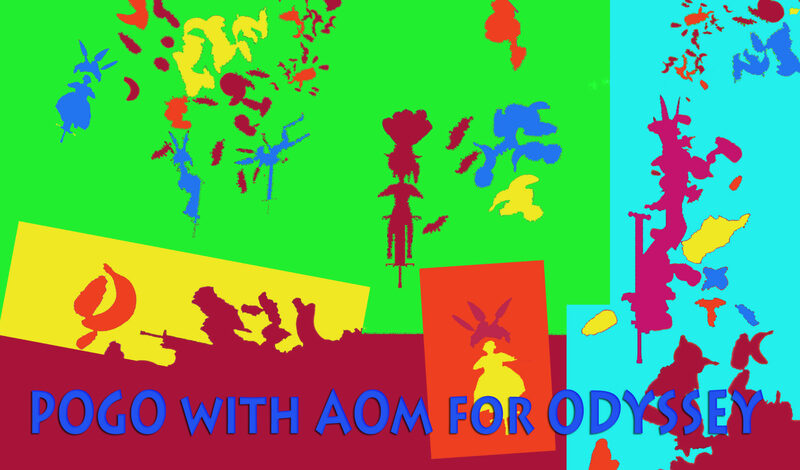 AOM is excited to host this event to help raise funds for Odyssey’s continued existence, to thank Liz and previous managers (Sugar Seville, Helfe Ihnen and Fau Ferdinand) and to reflect on our shared time in Second Life together . … lounging, breathing, sounding, and bouncing around with flying fruit, giant chickens and other fantastic creations designed by AOM set builder Frieda Kuterna aka Frieda Korda. In exchange for donations to Odyssey, you will receive a unique AOM instrument conceived by vocalist-sound artist Viv Corringham aka Zonzo Spyker and built by AOM luthier extraordinaire Norman Lowrey aka North Zipper.